Drinking the Kool-Aid is a new segment from Rev2 that invites company founders and executives to explain their perspective to Rev2 readers. We invite them to explain the inspiration they had to create their company, how they run it, what they enjoy about working on the web, what their vision is for the future, and anything else they’d like to write about. In the future, you’ll see more multimedia infused into these pieces as we begin including video and audio from company executives. We hope this segment provides you with a new attitude with which you can view the web companies featured herein. To start us off, we have Michael St. Hilaire, CEO of Fliva, a startup we profiled back in July. Check back next week for more. Thanks! The original idea for Fliva came about after a friend and I were discussing a sidebar in a magazine asking five questions to five people. Both of us had the same reaction to the questions and answers. Our minds were looking for similarities between the answers to see which person was most ‘like me’, who can I relate to the most. The idea is the answers you give to these questions and the way you answer them says a lot about who you are and how you think. Often these are much more interesting than just simply listing your favorite movies, TV shows, or attempting to write a decent ‘about me’ statement. 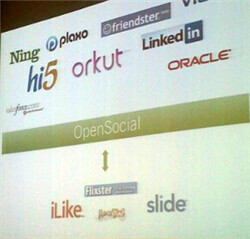 In a sense, Fliva is a replacement for the ‘about me’ section of the typical online community like Facebook or MySpace. Although it can be placed anywhere on the page, or on blogs or other websites, it allows your page viewers an insight into your personality they wouldn’t otherwise have. Our long term vision for Fliva is to use the answers you are giving, and the other information you supply to Fliva to help you connect with others who might be like you. Our aim isn’t to be yet another social network, but to create a framework built on top of all the social networks that allows you to find and connect with cool people wherever their profile might live.